My original oath of moment was to make some headway into my Word Bearers going into 2015, and that continued nicely into 2016 with a load of new units, with more being added fairly regularly. I’ll do an update on how that’s going in a few weeks having re-appropriated a few units from the old III Legion army. Half way through though I decided I wanted a change from metallic blood red and had the beginnings of a Mechanicum army lying around primed, so Spring seemed like the ideal time to make a start on those. 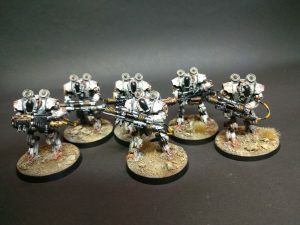 The Thallax were a bit of a pain to build and I found the power cables between their lightning guns to be somewhat restrictive when it came to posing them so some of you will notice I’ve not used them. I just replaced them with some bent earth cable from some old T&E, the diameter was just right to fit into the guide holes left by the resin cables. This gave them a whole lot more movement, I’d recommend swapping them out if you build any yourself. The units themselves are all nails, they look cool, so they needed to be done justice but to also fit with the aesthetic of my Word Bearers. They had plenty of Dark Mechanicum assistance on Calth, so they’re certainly themey, but what colour? Red was an absolute no, they had to pop against the sea of red already in place. Yellow and white both seemed right, both would pop against the main force and were challenging to paint and weather up, I hate painting both of those colours, so eventually I settled on white. 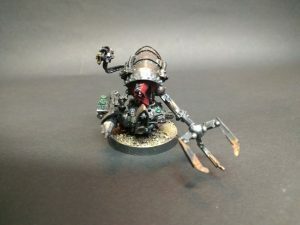 I liked the idea of a pristine Mechanicum force that had been corrupted and fallen into disrepair as they were fuelled more and more by dark energies rather than the reactors on their backs. Absolute ball ache to put together! The scheme worked beautifully, it looks bright enough to stand out but also weathers down really well with plenty of added textures at the weathering stage to add interest. I’ll not go into detail about the techniques I developed for these on this article but if the interest is there, I’ll certainly knock something together for a later article. I will mention the Lifecolor Rust Wizard Set was invaluable, really nicely chosen rust colours that all work together. An excellent brand and well worth checking out their sets. 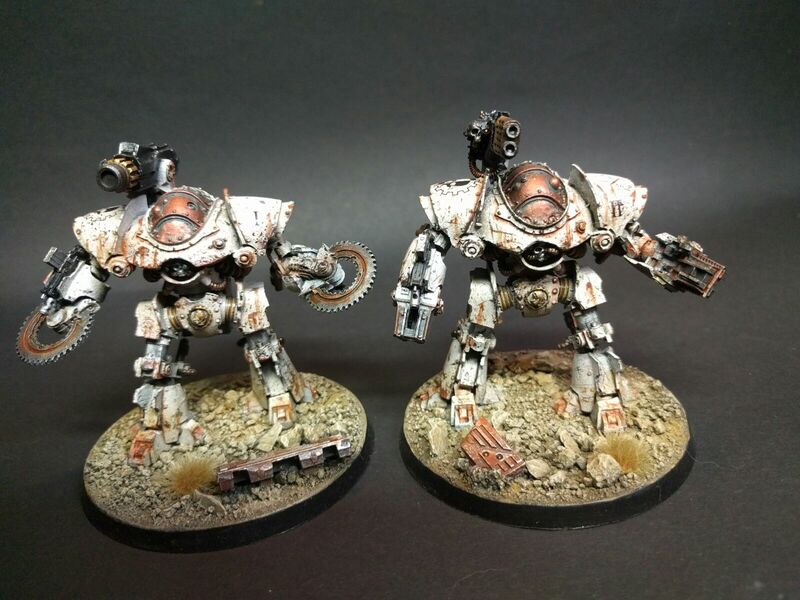 Plenty of nice grimy rust effects on these, doesn’t really show up so well on the pics. The final force was 2 Castellax, dual purpose both for a Legion Praevian and Mechanicum, 2 units of 3 Thallax and a Thanatar Siege Automata for some heavy firepower when needed. 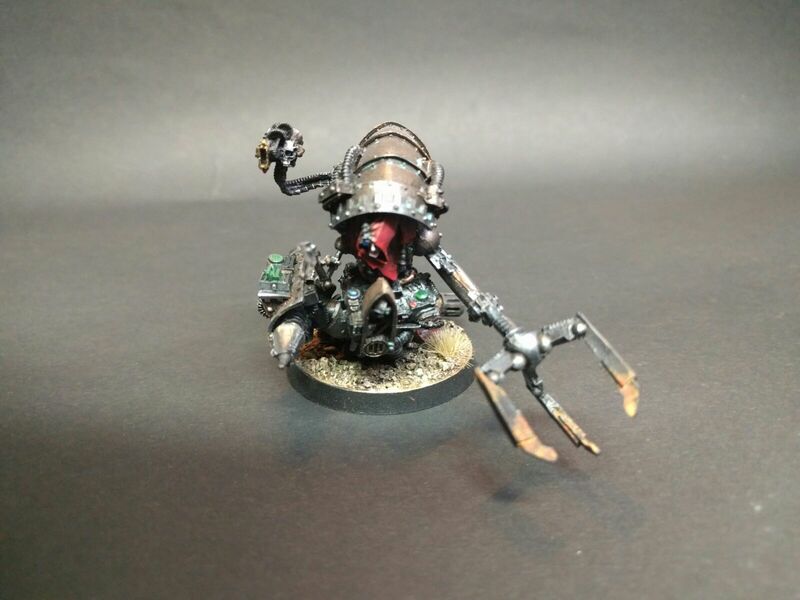 I’d already got a grimy Magos painted up so that fits in as HQ and the allied force has begun. 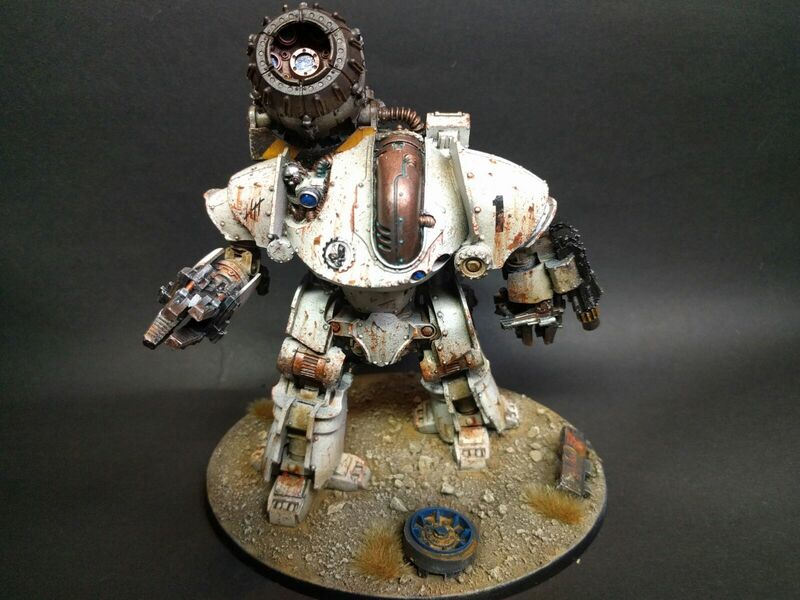 I still have the Dark Mecanicum character Draykavac to paint up but for now, I’m really pleased with how these have turned out and it was nice to be asked by Forge World to feature the Thanatar too so next time you buy one, you’ll see this chap looking at you. Took a fair while to paint this thing. Worked on some of my own weathering techniques too that came out really well. This entry was posted in Gaming, Horus Heresy, Oath Of Moment, Painting & Modelling, Painting and Modelling Guides, Warhammer 40k and tagged adeptus mechanicus, automata, betrayal at calth, cybernetica, horus herest, Mechanicum, word bearers by Paul. Bookmark the permalink. These are looking great, Paulo! 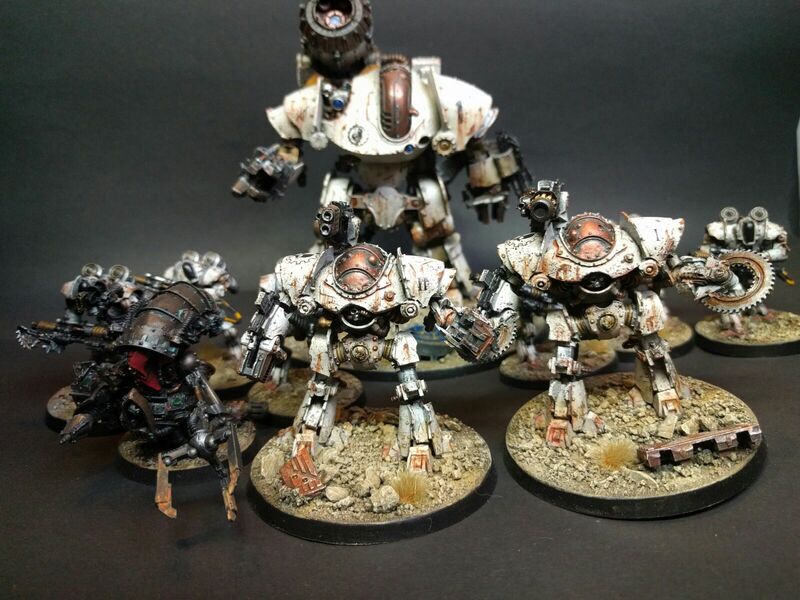 So stoked on these dudes, the weathering and paint-scheme work so well together. Really love the natural tones on the bases too! Glad you like em fella, lot of work but it really paid off. Certainly pops against my metallic red marines. Fancy, and a better call than sticking with the studio scheme for sure. I reckon if you’re going to do allies you either blend them together all subtle like so they look like they’re all the same army, or go all out like this and have it very clear who’s who from six foot away.